We just read a great article on gardenguides.com and thought we would share some of their composting tips with you. While compost is very easy to maintain and pretty much takes care of itself, there are some small things you can do to make sure your compost pile is thriving and producing nutrient-filled soil. Keep your compost pile in a semi-shaded area in order to keep it from drying out too much. Make sure to sprinkle your compost with a garden hose when it appears dry. Remember to keep your compost moist, but not wet because beneficial organisms cannot survive in soggy conditions. 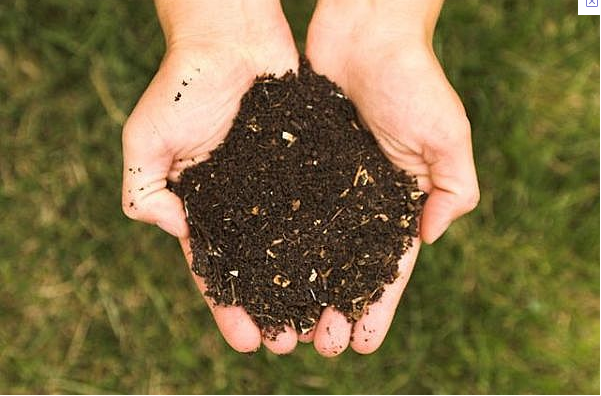 When your compost is ready, you can mix it into the soil before planting or use it as mulch. Either way, make sure to use it as soon as possible because the longer it sits, the fewer nutrients it contains. If you would like to speed up the composting process, turn the pile once a week to allow oxygen into the center of the pile, where it encourages growth of bacteria and fungi. Also, particle size has a lot to do with the decomposition speed, so try to make your pieces of compost smaller if you want it to go by faster. -If there is an unpleasant odor coming from your compost it is because there is either too much nitrogen in the pile, compaction, or the pile has been over watered. To solve this issue of too much nitrogen, add high carbon material such as straw, pine needles, or grass trimmings. to solve the compaction problem, aerate the pile and to reverse the effects of overwatering, add dry leaves or wood chips to soak up the water and aerate. -If the pile is not heating up it could be due to lack of nitrogen, it needs to be turned, low moisture, or the compost is finished. If there is not enough nitrogen, add fresh manure, grass clippings, or blood meal and mix the pile. If the pile needs to be turned, mix the compost by bringing outside material to the center. If there is low moisture make sure to water the compost so the moisture gets to the center of the pile. Poke deep holes in the pile before watering. If the compost is finished it will smell earthy rather than rotten or moldy and it will be dark and crumbly. -If the compost is damp and only the center is warm it is because the pile is too small and you will need to add more compost material. Instead of setting your sprinkler system to run for a half an hour three times a week, make use of something that you would normally throw down the train. 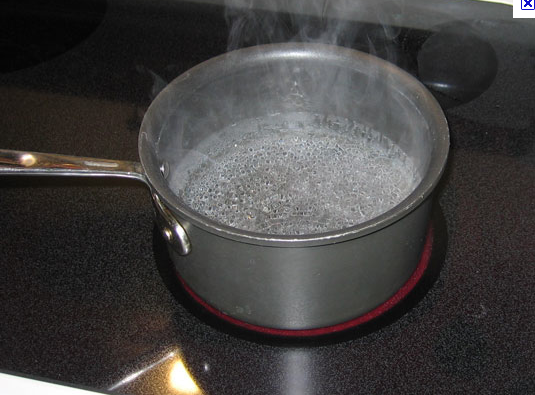 Whenever you boil any kind of food (pasta, corn, potatoes, lobster, etc) let the water come down to room temperature and then use it to water the plants in your gardens or the ones potted around your house. In addition to saving water, the plants will receive a nutrient boost from the vitamins and minerals the food you boiled has left behind in the cooking water. With this method, you will save water and money and contribute to making the earth healthier. -Don’t heavily salt the water because excess salt can damage your plants and the soil health. -Don’t use water that you’ve added oil to because it can turn rancid and attract pests. -Don’t use the cooking water for houseplants because there is a bit of an odor especially if you boiled broccoli or brussel spouts, but don’t worry because it isn’t a problem outside. Video Shows You How Worm Composting is Done! Yesterday we blogged about the benefits of worm composting, how worm composting works, and the types of worm composting bins. Today we found a video that shows how beneficial and simple worm composting really is. After setting up the container, begin feeding the worms the same organic waste that you would normally compost. 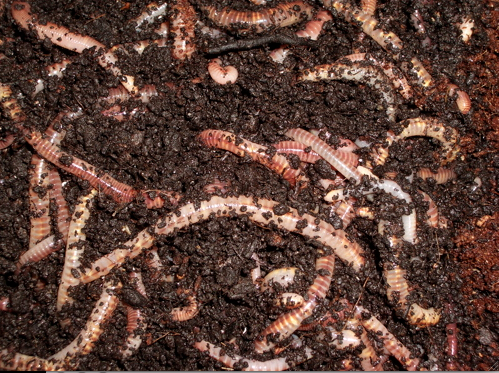 The worms chew on it for a while and when they’re done eating they digest it and there you have your worm compost! Not only does worm composting increase the nutrient levels in the soil but worm castings also contain millions of microbes that help break down nutrients that are already in the soil into plant available forms. The mucous that the worms release slows the release of the nutrients and prevents them from washing away with the first watering. Worm compost can be too rich for use alone as a seed starter but it is useful as a top dressing and as an addition to potting mixes. Try using the ratio of one part worm casting to four parts mix and watch your plants grow! Unlike regular compost, which can work on its own in a pile, worm compost requires a little more structure. These bins can be made out of almost anything but they need drainage and air flow to be built in. The design usually depends on where you want to store your bin and how you wish to feed the worms. The are three categories of worm composting bins. -Non-continious: undivided containers that start with a layer of bedding materials to line the bottom (shredded paper, etc). Worms are then added and organic matter is added in the layer above the bedding so the worms will start to composting the organic matter. -Continuous vertical flow: a series of trays stacked on top of one another. The tray on the bottom is filled first like the non-continuous bins (bedding, worms, organic waste) but it is not harvested once full. Instead, a thicker layer of bedding is added on the top and the tray above is used to add organic material. Once the worms are done composting the bottom tray they go for more food and migrate to the tray above. Once the worms have migrated, the bottom tray can be collected. -Continuous horizontal flow: Similar structure to vertical flow, but you must line up the trays horizontally. The bin is then divided in half by a screen of chicken wire. One half is used until it is full and then the other half is filled with bedding and organic matter. Then the worms migrate to the side with the food and the compost can be collected. 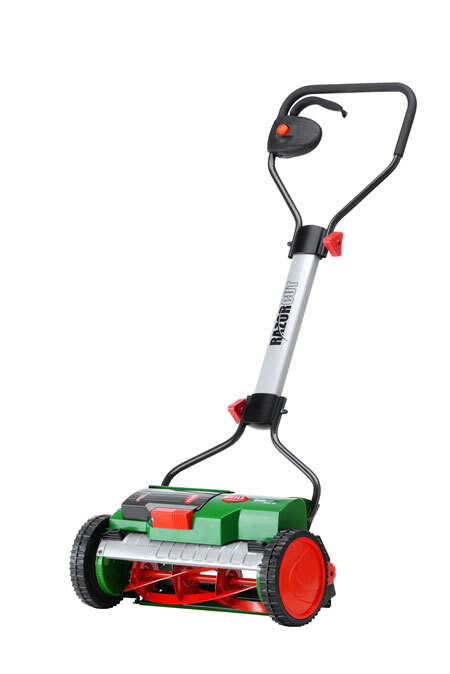 How much CO2 and Money do you save by using an electric lawn mower? Calculate it! -By following this link you can find out how much money and carbon dioxide you save by purchasing and using an electric lawn mower. Just enter in how many times a month you mow your lawn, how many months of the year you mow, and how long it takes to mow and you can find it all out! 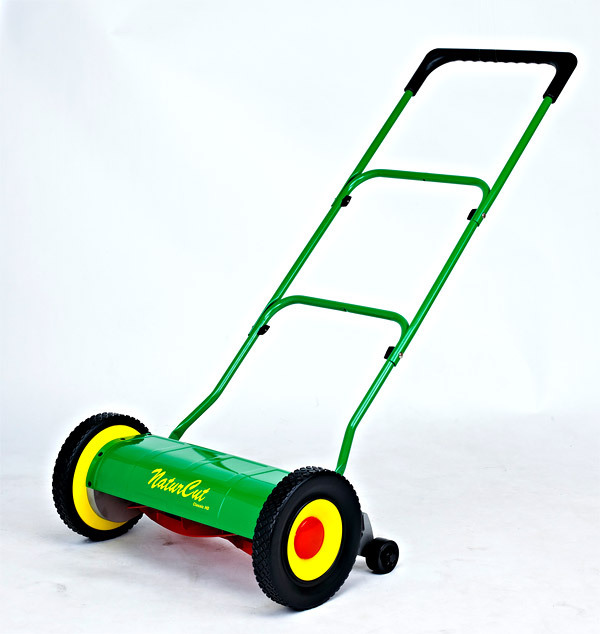 We found out that we save 60 pounds a year of CO2 by using our Brill Razorcut Accu 38! Here is a great video showing the step by step assembly process for the Fiskars mower. So if you’re having problems with the assembly this video will show you how to do it in less than 6 minutes!